Hi AMW Friends! Summer season is "almost" over! But who said we can't keep the "warmth" on our faces? When it comes to Benefit's Box O' Powders, HOOLA has always been that name that pops when it comes to "bronzer" or "instant face warmer". But let's be serious, as much as I love that product, I wish they have something lighter that would be apt for fairer skin. After years of waiting, I would say, this is worth the wait! HOOLA LITE is here for girls like ME! Housed in the well-known "box-type" packaging, I used to dislike how bulky it is making it difficult for me to bring this along for makeup gigs! But....after piling them up together with other shades, I do like them better and I like how gorgeous they look inside my dresser drawer. P.S. I really like the brush that comes with this! So I can forgive the "bulkiness" anytime of the day! Now the award-winning hoola matte bronzer is joined by a lighter shade…hoola lite! This finely milled bronzer blends on smoothly & seamlessly. Ideal for fair skin—beyond ideal for a TANtasticly believeable bronze 365 days a year. Details: 8.0 Net wt. 0.28 oz. 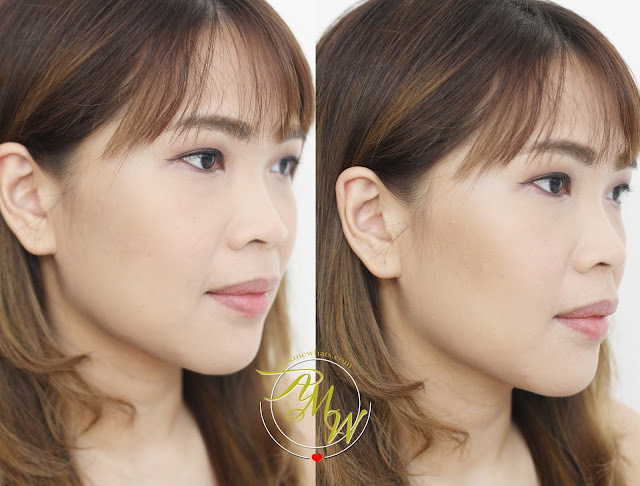 Lighter, warm undertone and matte finish that looks natural on me. Stays more than half a day for normal skin. Makes sallow skin looks healthier and warmer. Can actually work as a contour powder if user have yellow undertone/fair skin. Does not accentuate pores or fine lines. Pink undertone users may not be able to achieve the "warm complexion" using this product. May be too obvious. May not appear well on users with medium to darker complexion. A lighter version of Benefit's HOOLA, this can give an overall "warmth" to the face, can be used on both face and body. Hoola Lite is best used by users with warm undertone, fair skin. 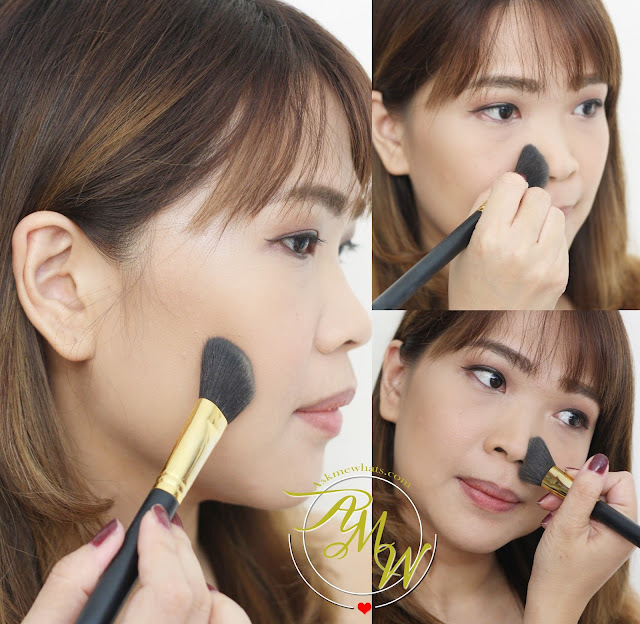 Use the brush that comes with the box, it is PERFECT to contour the cheeks and nose. Wash the brush before use. And wash regularly! Fair complexion gals with warm undertone. I like to use an angled brush to apply lightly just a bit below the cheekbones. I also like to use the same brush and gently apply on both sides of my nose to create a slimmer look. For me, this is the best shade to pick if you are looking for something more subtle and almost "barely there". If you want "oomph", go for the classic Hoola, but I highly recommend this for girls who have fairer skin like I do! Have you seen the new Box O' Powders from Benefit? Do you want me to feature Galifornia? Galifornia is oh so amazing can't wait for your thoughts about it. hi nikki, i have the original Hoola, but i find it a bit orangey. i'm currently liking the Physicians Formula Butter Bronzer in Bronzer shade ^_^ .